You’re ready to apply for a mortgage. The process of meeting with a lender and a getting a mortgage can be very complicated, especially for first time homebuyers. To help with this process, here are a few things to consider being up front about from the very start. When handing out large loans, lenders look for employment stability and steady income; most will check your employment history and income throughout the mortgage application process. Therefore, it’s better to be straightforward from the beginning. Failing to do so may jeopardize your eligibility or cause other problems prior to closing. If you have taken out other large loans or made a big purchase before applying for your mortgage, your lender needs to be in the loop. Making these financial decisions will affect your mortgage as it increases your “debt-to-income ratio” or DTI. Having a high DTI will also result in a higher mortgage interest rate, which makes you riskier in the eyes of your lender. So, come clean about that new car or any other significant loans – because it may affect the type of mortgage you qualify for. When applying for a mortgage, the lender will usually ask for two months’ worth of bank statements. If they notice you’ve made multiple large deposits of over $100 (that are not attributed to income from your job), it’s imperative you provide them with documentation explaining the source of the income. These large deposits can be deemed quite questionable during the underwriting process – so in order to avoid delays, be prepared with all necessary documentation. Looking to buy a home in the Monmouth or Ocean County area? You saw our last four short financial solutions videos on the benefits of a First Financial mortgage, how First Financial works with our members’ lending needs, personalized service, and personalized loan options. Now check out our final video in this series: creative loan solutions. If you have questions about the mortgage process or don’t know how to get started, we are here for you. Contact the Loan Department at 732-312-1500, Option 4 or learn more about First Financial mortgages on our website. With U.S. mortgage rates near all-time lows, the appeal of purchasing a home has become much more enticing. For those who currently own, those lower rates mean looking into refinancing options to lock in lower rates; for those who rent, this may provide a nice entrance into home ownership. According to the most recent National Association of Realtors® Home Buyer and Seller Generational Trends report, the demographics of first-time homebuyers has shifted over the last century. The current median age sits around 29, with over 65 percent of homebuyers under the age of 34. Below are five tips, catering specifically for older Millennials who are looking to plunge into homeownership for the first time. Your financial security is of the utmost importance when looking into any large purchase. If you are unsure of the likelihood that your job and a steady paycheck will be there in 6, 12, or 36 months, you need to step back and logically assess how probable it is you can keep afloat while paying off a home for the next 30 years. As with any basic personal finance advice, it is wise to have a substantial savings account. Particularly for large purchases such as homes, making sure there is a financial cushion to fall back on in case of unthinkable circumstances should be a determining factor when you are looking for your first home. If money management is not a strong suit, it will pay off to get down to business and take the time to invest in your financial literacy. Without basic financial know-how, taking on a loan for hundreds of thousands of dollars might not be a wise move for your long-term financial portfolio. Make sure you understand exactly what you are getting yourself into, how you will afford payments in the years ahead, and how you will handle unplanned financial obstacles. When applying for home loans, a healthy credit score is your MVP. Without stellar credit, you could find yourself paying far more than you should. Take the time to make sure your credit tells a story of a financially responsible individual, and you are bound to see the rewards. Remember: Your credit reflects who you are to lenders. It’s a snapshot into how you have handled credit in the past and provides an educated guess as to how you will act financially in the future. It’s easy to become swept away by the glamour of home shopping. The excitement and possibilities can lead to pricy immediate gratification, instead of financially sound judgments. It is incredibly tempting to look at approval amounts as permission to push your budget, particularly when submitting loan applications and receiving approvals. Simply because a lender says you can borrow a certain amount, does not mean it is the wisest decision. Approvals are meant to be guidelines and firm upper limits, not excuses to push your budgeting envelope beyond its comfort zone. While the debate on how much to put down on a home purchase has been going on for decades, with the most frequently touted advice being that 20 percent is the golden rule, contracts can go forward with less — much less — brought to the table. Decide what fits best with your budget and if you would be okay paying (and affording) Private Mortgage Insurance (PMI), which could add possibly a couple hundred onto your mortgage payment on a monthly basis until you have paid that 20%. 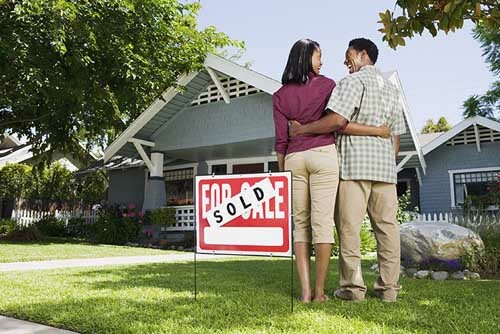 Buying a home is exciting, especially when you’re buying for the first time. In the midst of all of the excitement, it’s easy to become blinded by beautiful back-splashes, granite and quartz counter tops, hardwood floors, and fenced-in backyards. While looking at homes that are completely perfect from top to bottom, you may begin to rationalize a larger purchase than you had originally planned for — “This house is perfect for me; it’s worth $50,000 extra dollars for me to have a house with enough space in a perfect location,” or “We were planning on spending a little bit of money on painting; we can spend $50,000 extra on this house because it doesn’t need any work.” These are some common mistakes first-time homebuyers often make – so be careful to avoid them if you are about to buy your first home. Before you even look at a single property, you need to know exactly how much you can afford. We have several online financial calculators you can use, but these tools are only estimates. Use these tools as a guide, but then adjust the amount based on your individual situation. How much is your current rent payment? Did you meet that payment each month with ease, or was it a bit of a struggle each month? The payment you can afford right now is a good indicator of what you’ll be able to afford in your new home. 2. Counting chickens before they hatch. 3. Failing to account for closing costs, property taxes, HOA, and homeowner’s insurance. Then on top of all of those costs, if your down payment is less than 20 percent of the selling price, you may end up paying an additional cost — private mortgage insurance (PMI) — which is basically insurance for the lender in case you default on your loan. At the end of it all, your $800 mortgage payment can easily turn into a $1,200 house payment. Contingency clauses also offer a form of protection. “A mortgage financing contingency clause protects you if, say, you lose your job and the loan falls through or the appraisal price comes in over the purchase price. Should one of these events occur, the buyer gets back the money used to secure the property. Without the clause, the buyer can lose that money and still be obligated to buy the house,” explains Justin Lopatin, a mortgage planner with American Street Mortgage Co.
5. Being too naive or too paranoid. Some first-time home buyers are naive. Overly optimistic, they think nothing could possibly go wrong. If a home has a few problems, they view them as easy fixes and are unrealistic when it comes to the cost and time it takes to fix up the home. Some naive buyers will move to a neighborhood on the wrong side of town, forgetting that you can fix up a house, but you can’t change your neighborhood or location without moving. Paranoid buyers can be difficult to work with. They may not believe the price is an accurate assessment of the house’s market value. They may submit low offers which can be consistently rejected. Paranoid buyers may not trust real-estate agents, and may even try to buy their home without an agent, which is generally an unwise choice. Original article source by Erika Rawes of Wall St. Cheat Sheet. According to the National Association of Realtors, while inventory levels recently rose, the supply of non-distressed homes remains well below normal. If low inventory makes your search a challenge, you need to be willing to think outside the box. Here are just a few ways to do so! #1: Set up an alert system. “We always set up our buyers with daily automatic emails and text alerts with new listings based on their criteria from the past 24 hours,” says Russ Murray, broker/owner of Buyer’s Resource Real Estate. Make sure your real estate agency has a similar system in place in your area. If not, you’ll want to specifically search for an agent who can accomplish this for you. #2: Contact those who bought during the downturn. Many realtors will search their database for past clients who bought when the market was down in 2008 and 2009, and will call and update them on current market conditions and ask if they’re interested in selling now that prices have increased. You or your real estate agent may also contact landlords of rental properties to see if they would be interested in selling. You may never know if you don’t ask! Frank Llosa, broker/owner of FranklyRealty.com, says he writes letters to homeowners in specific areas where his buyers want to live. “About two percent of the homeowners we contact via letter – end up deciding to sell,” he says. Llosa suggests asking neighbors who are walking their dogs about potential sellers too. #5: “Make Me Move” listings. Buyers can search by zip code on Zillow.com for “Make Me Move” listings where homeowners who are testing the market put up an above-market price to see if buyers are interested. Llosa recommends contacting those owners to see if their price is firm or they’re willing to negotiate. #6: Sign up on PreMLS.com. There may be a social media group in your area for members who share information about listings before they go on the open market. Look for these types of groups and join them, or have your agent look into a group like this as an additional option to assist you. #7: FSBOs (For Sale By Owner). A variety of websites including Zillow.com, ForSalebyOwner.com, iGoFSBO.com and Craigslist, allow you to search by zip code to find for-sale-by-owner homes. ForSalebyOwner.com has an app for smart phone users to search for homes in addition to their website too. 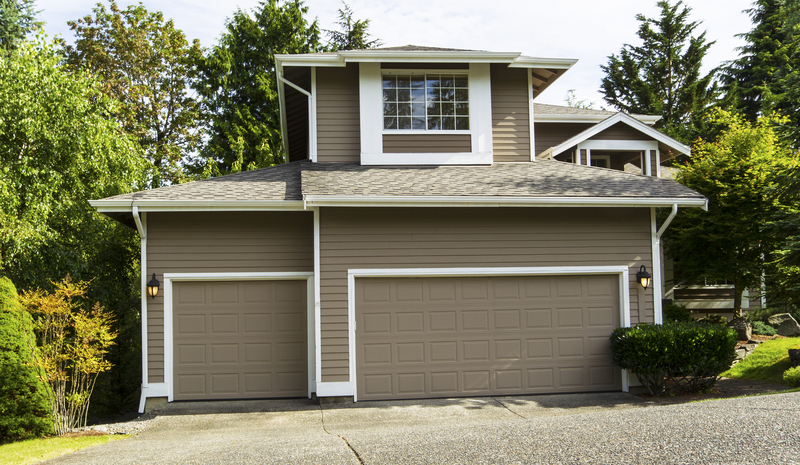 Look into switching your selection from a single-family home to a townhouse, or look for a home that needs some work. This may be easier to obtain, and you might even like it better in the long run! Keep your options open. Click here to view the article source by Michelle Lerner of FOX Business.